According to CONCURED, an artificial intelligence platform, the perfect length for promotional video is 3 minutes and 54 seconds. This may be the silliest “fact” I’ve read this month. LONDON–(BUSINESS WIRE)–A new content marketing study, conducted via the CONCURED artificial intelligence (AI) platform has declared three minutes fifty-four seconds to be the ideal length for consumer video content. Across the world’s most successful marketing videos, CONCURED’s AI found that 3m 54s represents the most effective video length, with companies such as Google, Apple and Walt Disney all delivering significant views-per-video while keeping the video length below four minutes. In the case of enterprise-focused video content, this ‘Goldilocks’ length extends dramatically, with enterprise video content from Amazon and Microsoft typically lasting between six and fifteen minutes. CONCURED’s AI analysis also found that, of world’s top brands, Microsoft delivered the highest number of total video views (996m). On a per-video basis however, Apple and Google received significantly higher average views (over 1m views per-video, compared to Microsoft’s 407k). Commenting on the research Tom Salvat, CEO of CONCURED said: “Our AI-powered benchmark represents a world-first in the content marketing industry, providing tangible metrics to apply to previously intangible marketing practices. 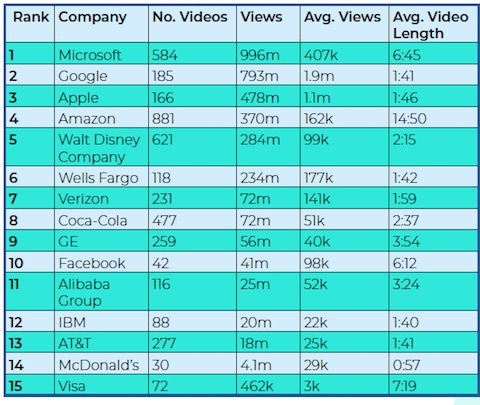 “While it’s obvious that marketers will want to vary the length of their videos depending on the specific audience, this analysis offers a measuring stick for marketers to compare their content to the world’s biggest brands. As we feed ever more data into the CONCURED platform, the potential insights for content marketers will continue to grow, telling brands which topics, tactics and content types will resonate with their audiences both now, and in future. The most egregious part of this release is the idea that you can sprinkle “AI” on things and make them better. AI is as good as the data it reviews and the algorithm it uses. Garbage in, garbage out. And if the algorithm isn’t suited to the problem, even if what’s going in isn’t garbage, what comes out will probably be. The premise, that there is an ideal length for video is dumb. The right length for video is the right length for whatever it’s about. 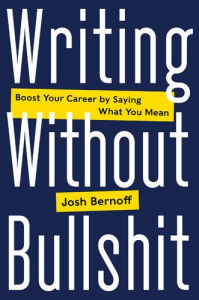 If it’s about how to write a novel, it might be 15 minutes. If it’s supposed to be funny, it probably should be no more than a couple of minutes. The length isn’t what makes it successful — the content is. The idea that you could find a pattern just by looking at length ignores a dozen other variables. Imagining that you could create one metric for success by looking externally is also dumb. If 100 people view my video, but one of them buys a million-dollar contract from me, that’s more successful than if a million people view it, yawn, and move on. So I question CONCURED’s measures of success. There’s a causation fallacy here. Does having a 3:54 video make you successful, or do successful video makers tend towards this length? If I make a 3:54 video, will it succeed? Probably not. Right here in the release, it already hedges. “In the case of enterprise-focused video content, this ‘Goldilocks’ length extends dramatically.” And then “While it’s obvious that marketers will want to vary the length of their videos depending on the specific audience, this analysis offers a measuring stick for marketers . . .” In other words, don’t trust the number. It’s long been said that content is king. Do you see the pattern? I don’t. But AI does, so it must be there. Gag me. Aren’t you glad you now know the mysterious secrets of video! This is the worst of content marketing. CONCURED has gone to a lot of trouble to create a report filled with platitudes and dubious research. First, do research with a transparent methodology and explain the logic behind it. Second, test your results against reality (“there is one perfect length for video” fails this test). Third, go beyond platitudes. Write only about what you have found that is new and previously unknown. You want to work with people who think you are smart. If you’ve proven you’re not, you’ll only end up working with people who can’t tell the difference. They’re not very good clients. great quote – do you know the attribution? ?